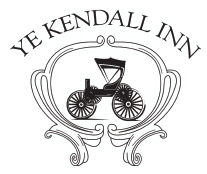 Prominently situated on the banks of the Cibolo Creek and the Town Square of historic Boerne Texas, Ye Kendall Inn has been the home of hospitality, cuisine, and lodging since 1859. Boerne, founded by discerning settlers to be a community providing a high quality of living and well being in the Texas Hill Country, became a destination in the late 1800’s for those seeking an idyllic environment. Today, the newly restored Kendall Inn has everything a guest would desire. Nestled in the heart of Boerne just off Main Street, enjoy shopping in our town’s boutiques, taking a stroll on Boerne's Hill Country Mile, and of course rest in one of our 34 rooms, suites or cottages. Create memories for yourself and host your wedding, conference, retreat or event in the Kendall Halle Conference Center, on the Creekside Lawn overlooking the beautiful Cibolo Creek, or in our beautiful Antebellum Courtyard. Our 5.2-acre campus features high-speed wireless Internet everywhere from the privacy of your guest room to the banks of the Cibolo Creek. Come enjoy the best of the past and present and true Texas Hospitality.